In the past 8 years, I have worked with numerous clients providing WordPress website consulting, SEO consulting, and other blogging-related services. I will talk about making money from your fashion blog in a separate article, but I will definitely add a few useful links to this article which will help you to learn the basics of making money from a blog. What are some common mistakes made by fashion bloggers? One of the most prominent mistakes I have seen on beauty and fashion blogs is the overuse of tags (WordPress) or labels (BlogSpot). 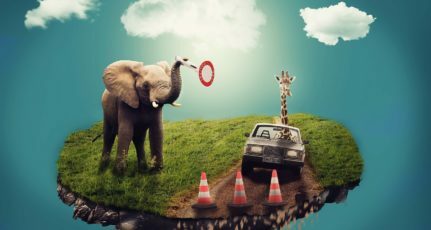 It is a common myth that having a lot of tags or labels results in better search engine ranking, but I am here to debunk this myth. This practice is old-school. After Google Panda’s algorithm update (read more about Google Panda here), we don’t let search engines index our tags or labels. Tags are useful for structuring your content and to help your readers navigate your blog based on their interests. But you should try not to use more than 6-7 tags in a single post, and create only those tags which you are going to use in the future. Additionally, make sure your tag is limited to one or two words. You can read this article which will tell you how and when to use tags, and how you can manage tags on your blog. If you are a fashion or beauty blogger, I’m sure you must be using images in your blog posts to add more value. This is indeed a good practice, as images make your blog posts visually appealing, and they help with your search engine ranking as well. However, using too many images will slow down the load time of your page, creating a poor user experience. For further information, read this guide which covers how search engines increase or decrease ranking based on the load time of a web-page. Understanding that images are important to your blog, you need to know how to optimize your images for publishing on the web. This is not a difficult process once you get the hang of it, and it will benefit your blog in many ways. In order to optimize your images for publishing, you will need to resize each image before uploading, and compress it using any desktop compressor. If you are using a Mac, I would recommend ImageOptim. For Windows users, you can find a few image compressors for Windows here. Make sure to use only those image compressors which do not degrade the quality of the image. If you are using WordPress as your blogging platform, you can use the WP Smush.it plugin which compresses the image at the time of uploading. It also has a feature called “Bulk Smush.it” which compresses all previously uploaded images. You can read this guide on how to use it. 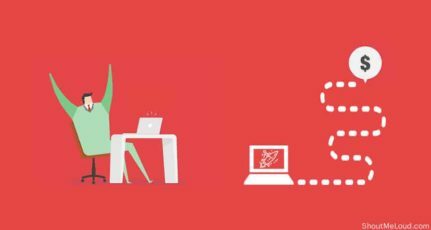 If you are very serious about your blog, you should also configure CDN which dramatically improves the load time of a blog that is heavy with images. You can read more here about what CDN is. And here is a handy tutorial to help you configure CDN on your blog. If you are not technically inclined, you can take advantage of ShoutMeLoud’s WordPress services, and my team will configure what you need for your blog. Bonus Tip: Get in the habit of renaming every image before uploading it. Instead of using a random name or the default name, rename it something that is relevant to the post. If you have made the mistake of not renaming images in the past, you should use the Media File Renamer plugin to rename all of your old images. BlogSpot is a good blogging platform, but once you are accustomed to blogging, you really should switch to WordPress. WordPress is a much better platform overall, and it provides features which will help you to grow your blog faster. You can create a search engine friendly migration from BlogSpot to WordPress which will also move images, posts, and everything else without affecting your existing traffic and/or subscribers. Read this guide to know more about moving from BlogSpot to WordPress. If you are more comfortable remaining on BlogSpot and you refuse to make the move to WordPress, be sure to use a custom domain with your blog at the very least. I have already discussed various advantages of custom domains on a BlogSpot blog, and here is a complete tutorial to set up your branded domain on the BlogSpot platform. One thing which I always mention in my conferences and seminars is if you are publishing anything online, you should make sure that people can find you easily. And search engines are the best way to discover anything on the web. Now, if you are thinking SEO is akin to rocket-science, it’s not. 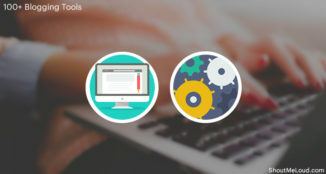 It may look a bit technical, but with platforms like WordPress and with the help of plugins, optimizing your blog is very easy. In case you are blogging on the BlogSpot platform and you’re still not ready to follow Tip#3 (see above) — no problem — you can still use this guide to make your BlogSpot blog search engine friendly. Properly optimize your blog for search engine crawling and indexing. This is a one-time setup, and you can hire an SEO company to get your blog optimized for search engines. You need to practice writing blog posts that are search engine optimized. You don’t have to change your writing style, but you do need to take care of certain things such as headings, keyword relevancy, permalinks, and meta values. I have already discussed these things in detail here and here. If you are on WordPress, you can use the EasyWPSEO plugin to help you with keyword optimization. It’s important to remember that mistakes are part of our blogging journey, and we can all learn from our past mistakes and work to create a better blog in the end. I hope this post has helped you to learn something new. Feel free to ask any follow-up questions you may have in the comments section below. If you find this post useful, consider sharing it on Facebook, Twitter, and Google Plus. You can also subscribe to the ShoutMeLoud newsletter for more blogging tips and updates. Fashion and beauty blogs can drive good amount of traffic from social media, because there are good chance that if a person sees any article related to beauty or fashion they are intended to click on it, create a good looking facebook page, try to get more followers, it will increase the traffic. I agree with your points, and apart from Facebook, a fashion blogger should focus on all other social-networking sites too. Specially Pinterest works great for Fashion niche. Thanks for your valuable comment. i really glad you noticed fashion blog and help them to solve their problem. you’re right with your points. 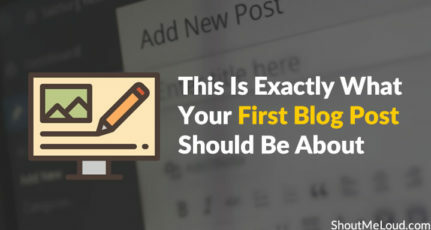 EVEN these kind of mistakes done by newbies in blogosphere too. Some many unnecessary tags, no SEO and so on. Thanks for post. Keep connecting with newbies like me. Nice post. I thoroughly enjoyed reading this post and gained some good tips today for my blog. I’ve been following and implementing the tips mentioned here as well. However i’ve a question here.. When it comes to implementing on CDN ..my blog Timespent on download page is currently 1000-15000ms. If i use CDN can it come down below 300/500ms? Right now i dont have much knowledge on monetization and feel like moving to CDN straightaway may be a costly thing. What you suggest ? Actually CDN is very cheap, and it helps in a great deal to speed up your website, and this better user-experience. If you are earning a decent income from your blog (Even more than $50/month), you can start with MAXCDN which is cheap and best. You will get all the support for installation and configuration from them or you can find excellent tutorials on web. 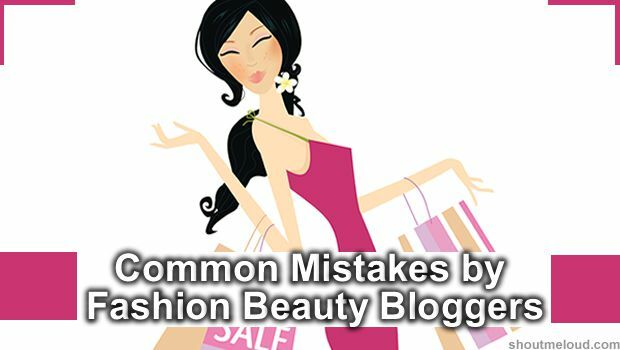 However, I am not running a fashion or beauty blog but I think these mistakes are done by most of the newbie blogger because I have also done these mistakes in my initial days of blogging. Basically my blog is not on the fasion and style niche based,But still enjoyed reading your article and the tips and tricks you mentioned in here will surely gonna to help me. Not a fashion guy or beauty guy here but seeing many of these folks in my feed I’d have to agree 1000%. Too many go heavy on the hashtags. It’s desperate, turns off many followers or potential followers and to make matters worse, it diminishes your targeting ability. You can’t appeal to everybody because if you try to target 30 niches, or tags, you’ll stop specializing and start generalizing. I also see the blogspot/Wordpress thing all day long on many Google Plus groups. Some content is top shelf, but when wrapped on a free platform it fails to make an impact. In an eye-candy type niche like fashion or beauty you need the functionality of a WordPress blog to share crystal clear images and eye-popping pictures to get your point across. I’d add too, that keeping things positive is a biggie. People want to be uplifted after reading your fashion/beauty blog, so never tear other people down or make fun of them. Lift people up, stress the going fashion trends and accentuate the positive. Positive, high energy readers will follow you around and expand your presence. This goes for any high energy blogger or niche. All spot on points dude. I’ll think of forwarding to a few fashion blogging friends of mine who could benefit from this. Generalizing is the great kiss of blogging death. Gotta drill down. But fashion blogs tend to attract more visitors as they mostly depend on offline marketing like TV ads and other ways.But these are important mistakes. i am really glad that you noticed fashion blog and help them to solve their problems. kind of mistakes also done by new users in blogosphere too. Thanks for posting such informative article. Today I came to know about CDN. I think I am making all the above mentioned mistakes 🙁 I want to monetize my blog but still my Adsense is under process I don’t know whether it will be approved or not. As mentioned I should now move to WP..
Can you plz..guide me what should be done to monetize my blog. I know sewing niche is a bit different but still I hope to earn from my blog. Hope you visit my blog!!! Such a great post , yet no comments from fashion bloggers. Well, I will fill up the space for them. I totally agree with you Harsh, that fashion bloggers are not doing “The Seo Dance” , which limits their earning potential.It is very saddening to see that , India is still lagging behind in terms of fashion bloggers. Mostly , they do it for the love of it, but I see a great potential in this industry. 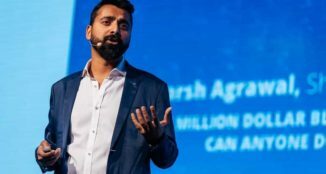 Hi Shefali, I agree – neglecting SEO has definitely hurt my blog in the past and now I’m taking steps to get more up to date on the changes that Google has implemented. The one mistake that was mentioned in the article – and one that I was definitely guilty of in the past – was the overuse of hashtags. I went overboard on these for the past few months and I guess they actually did more harm than good. I’m trying to scale back on the use of them recently so hopefully that will some improvements on my traffic. Nice post. I thoroughly enjoyed reading this post and gained some good tips today. I’ve been following and implementing the tips mentioned here as well. Thanks for the great post Harsh. However, not all the beauty bloggers are seo guru. Still need to rely on seo campaigns. Posts are crisp !! I have a problem i can’t stay on one sentence for long and thus ditch further reading. But your posts are interesting. I read every line. You provide what a person will search for not just a writing but a writing worth spending your time. Hi Harsh! Thanks For Post Informative For Fashion Blog. I have started a fashion Blog. I think i follow every internet protocol. But I want to know more For sale my product from direct my website. Thanks for sharing, Harsh. I found this post really useful. Fashion and lifestyle bloggers can no longer afford to ignore SEO. Looking forward to your article on monetization. Great Job here, You know what? I read a lot of blog post and article but never heard of a topic like this. 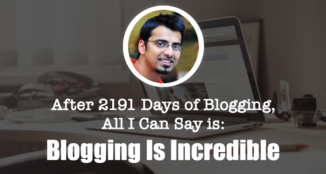 I love this topic you made about blogging blunders. I appreciate….very ingenious. Also to add fashion bloggers also need to take into consideration the SEO for which they can use simple tools available. We use Yoast and it is really easy and helpful. Overall well written article with simple and important points.